We are a Feather Tree Company - Contact Us Here! About Us: The Website FeatherTreeKits.Com made its First Sighting to the Internet World in 1999. 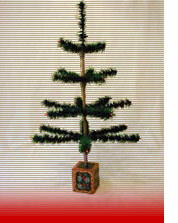 Since its Begininngs, We have Evolved into a Feather Tree Company Offering More then Just DIY Kits. As Time has Gone on, We have Listened to Our Customers who were More Experienced in Feather Tree Making. Because of them, We Now Provide a Varitey of Supplies Like Berries, Wires and Colored Floral Tapes for Crafters who want to Customize the Trees they Sell. We are Always Evolving and Plan to Offer More DIY Supplies and Decorations in the Future to make your German Feather Trees the Best they can Be!